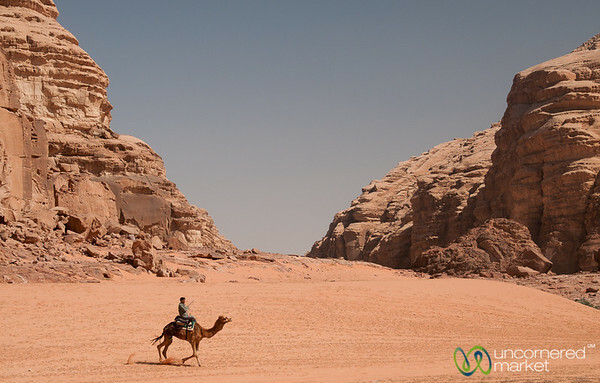 A sample of the nature and people of Wadi Rum, Jordan. 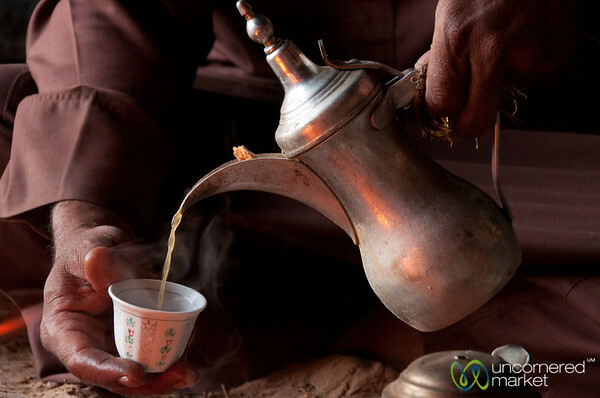 It's famous for its red sands and rocks, but it's also the home of Bedouins who raise their goats and camels on the land. 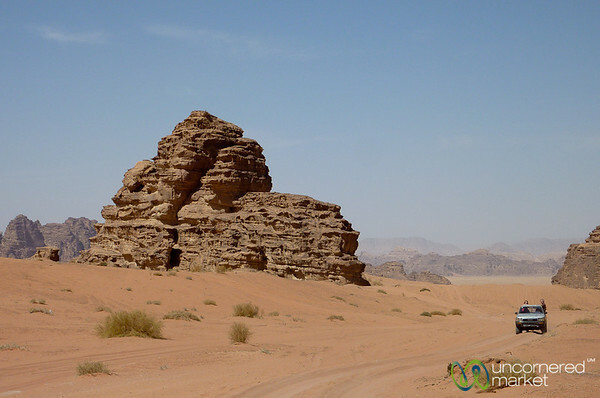 More on Wadi Rum and Bedouin culture at: Life Lessons We Learned from Jordan’s Bedouins. 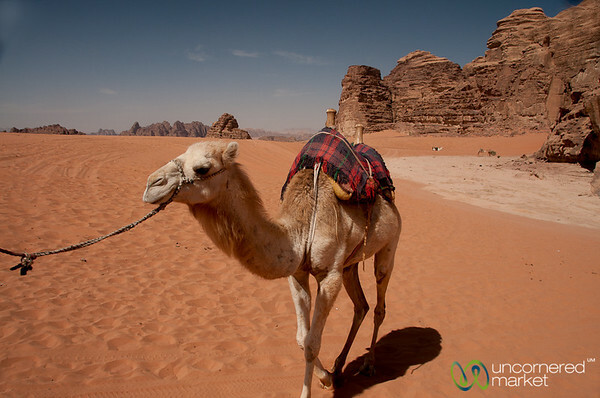 A camel gets led through the Wadi Rum valley desert in Jordan. 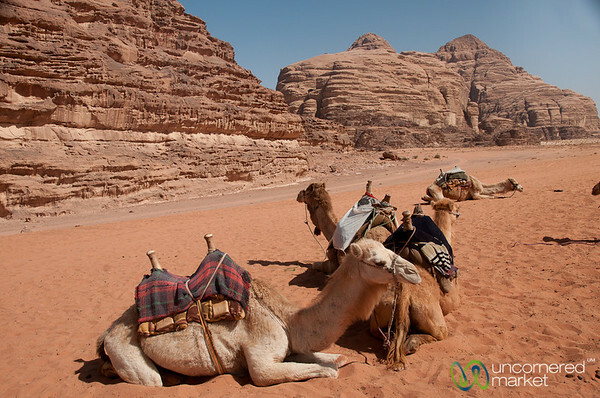 Camels still form a part of regular life for Bedouins living in the Wadi Rum desert in Jordan. Taking a camel ride in Wadi Rum in Jordan. Quite an experience, especially when they started running! 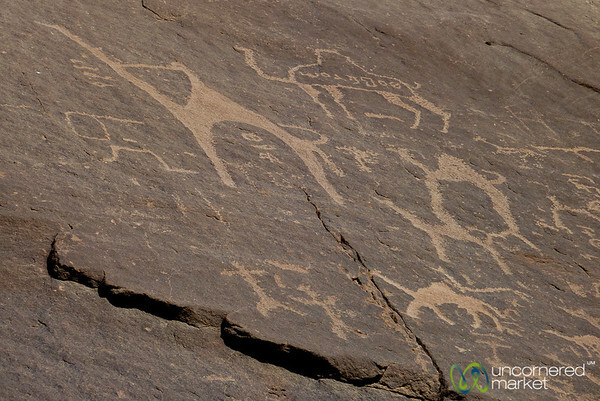 These ancient rock paintings in Jordan show that camels have been around for a long, long time in this area of Wadi Rum. 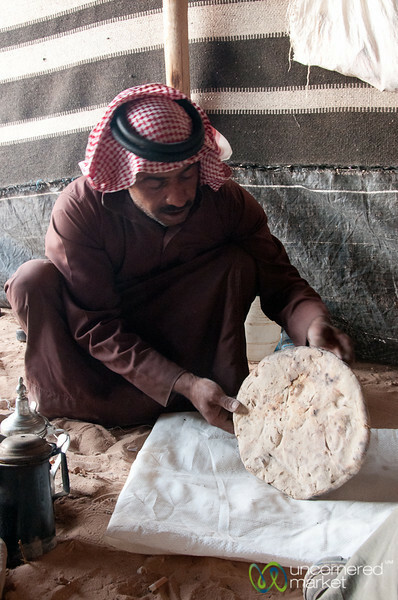 Audrey tries to learn how to make shrak, traditional flat bread, at Captain's in Wadi Rum . She got a lot of help from her teacher. The Seven Pillars of Wadi Rum in Jordan are an iconic image after Lawrence's book. 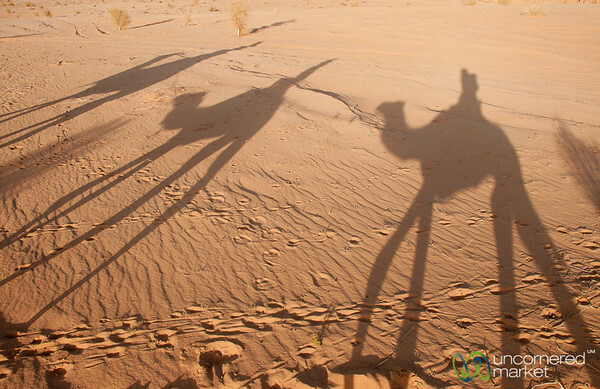 Classic camel shadows in Wadi Rum desert in Jordan. Covering up the bread dough with hot coals and ashes to get the edges to harden a bit. Then the entire dough will be covered with hot ashes to finish cooking. 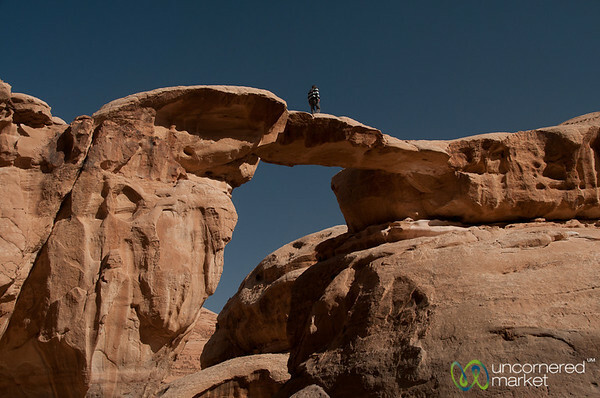 Taken in Wadi Rum, Jordan. 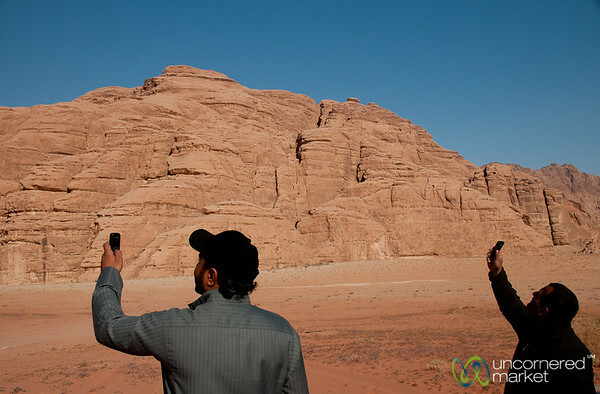 Sometimes you need a little technology, even in the middle of the Wadi Rum desert. Camels take a break. Notice how their legs bend underneath them. Really interesting animals. Taken in Wadi Rum, Jordan. 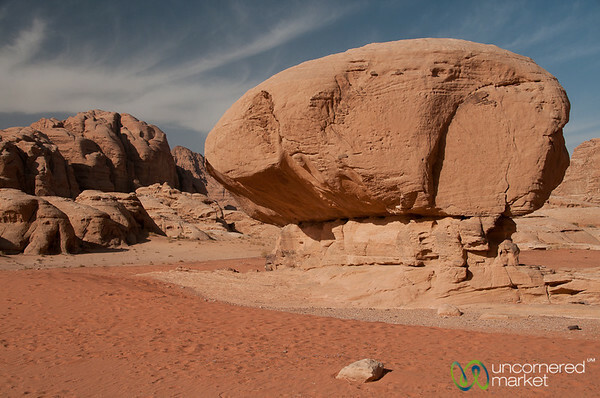 Just one of the many unusual rock formations at Wadi Rum, Jordan. 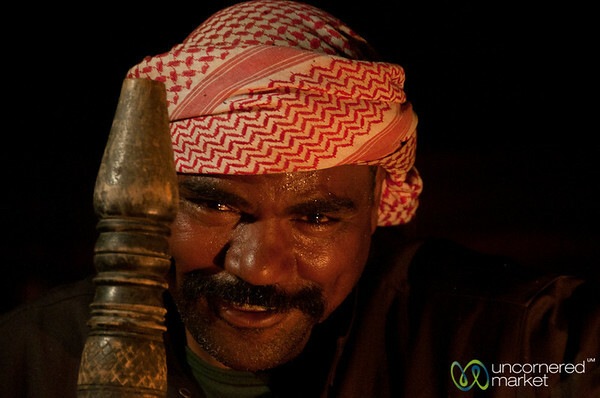 Our host pats down the flat bread into the hot coals and ashes of the fire. 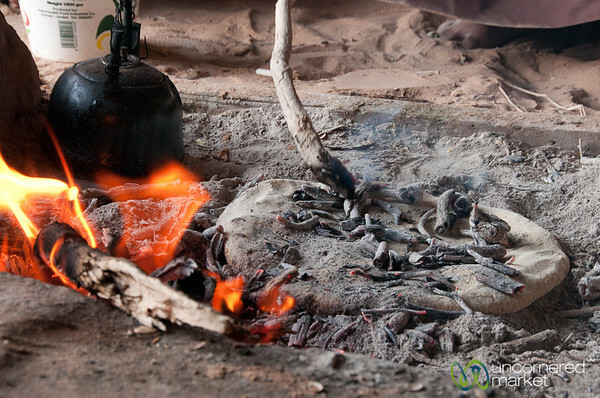 Once the bread (abud) gets a bit of a crust, he will bury it under the ashes to cook completely. A very cool process. Taken in Wadi Rum, Jordan. A young woman is all covered up to protect her from sun, wind and sand. 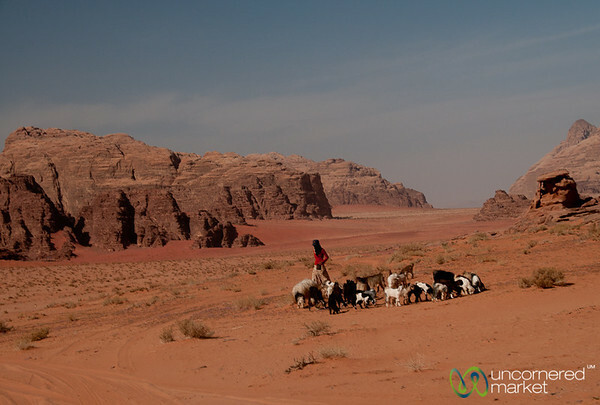 She is tending to a flock of goats in Wadi Rum, Jordan. 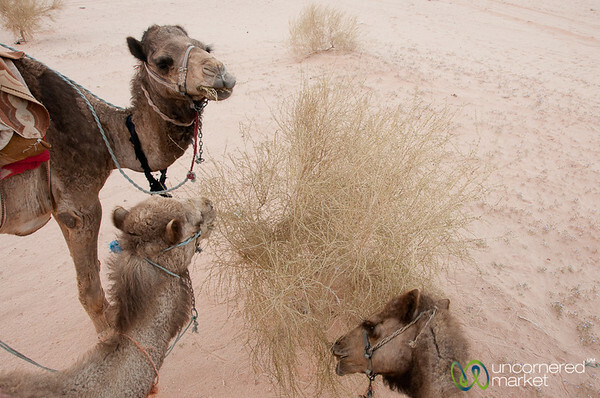 Each time our camels had a chance, they woudl stop at a bush and feed for as long as they could. Taken in Wadi Rum, Jordan. Camels may look like they don't move quickly, but you feel every movement when you're riding them. Hence, why we held on tight during our ride at Wadi Rum, Jordan. 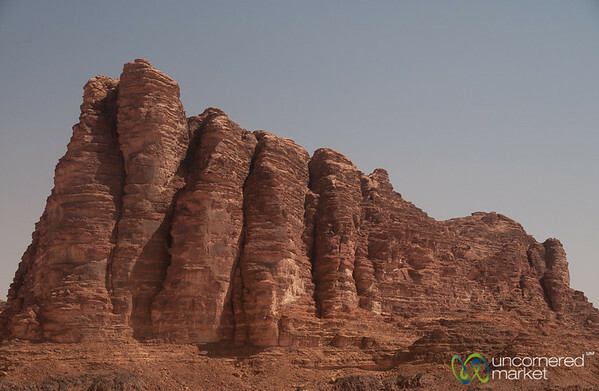 Local Bedouins take tourists across Wadi Rum desert in their pick up trucks.